Yesterday my family got together and had our Christmas celebration. We had a wonderful time at my brother and sister-in-law's house. I do so enjoy spending time with my nieces and nephews, they grow so fast! 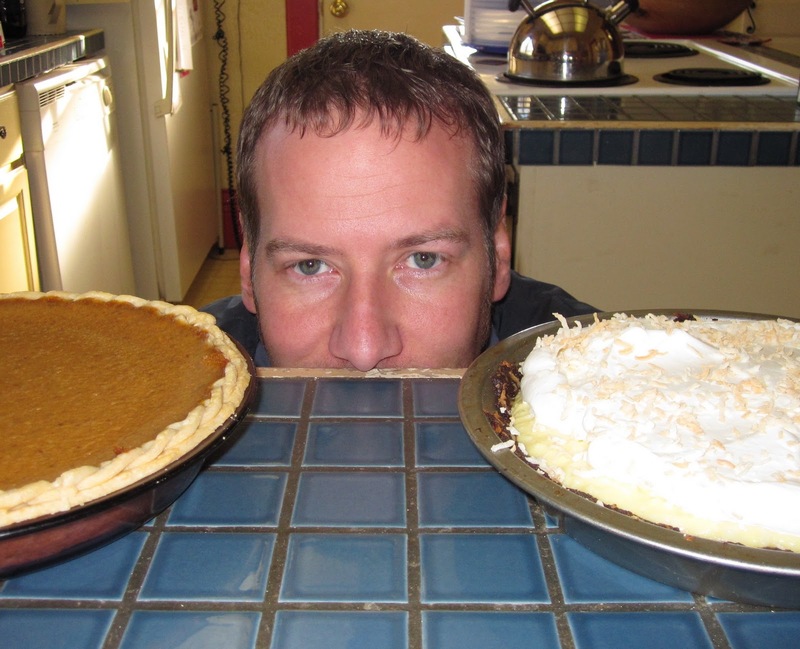 I tried to put a braided edge on the pumpkin pie crust but it wasn't on the edge very well. Rylan getting ready to make a few selections! 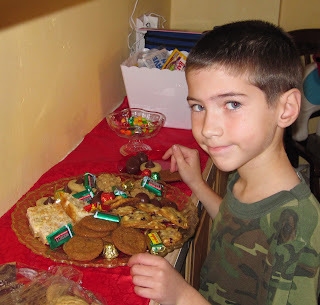 I also brought a plate full of my cookies I have been diligently baking. My sister was quite put out when I informed her that there may not be enough cookies left over to bring to her house on Christmas Day!! 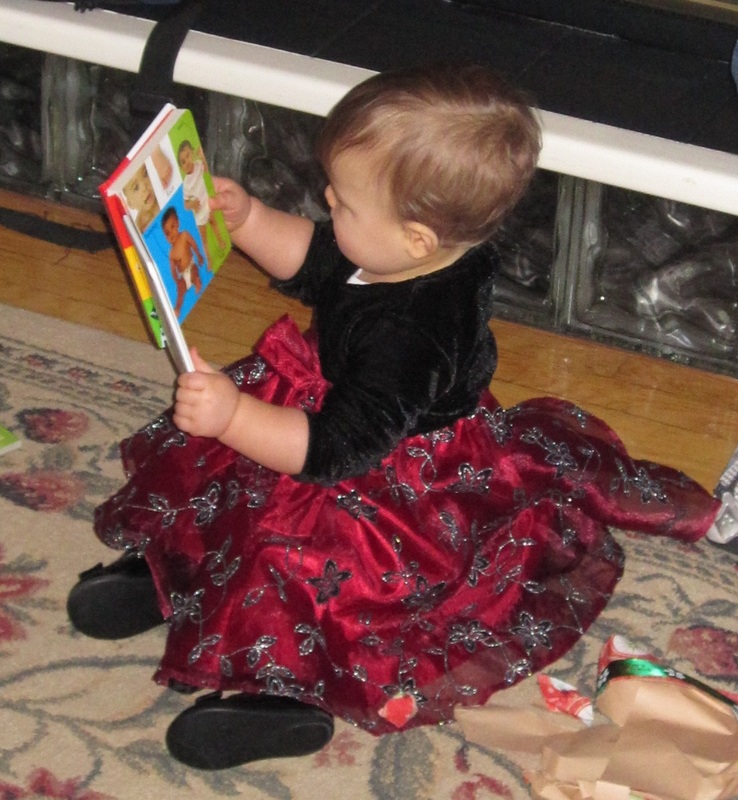 Sophia reading one of her new board books. The kids, of course, enjoyed opening presents. 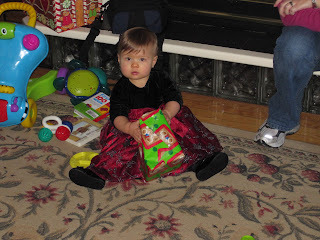 This was the first year Sophia could participate (she was only one month old last year at Christmas) but she was more interested in the fun wrapping paper and ribbons! These are the onesies I embroidered on for Sophia. 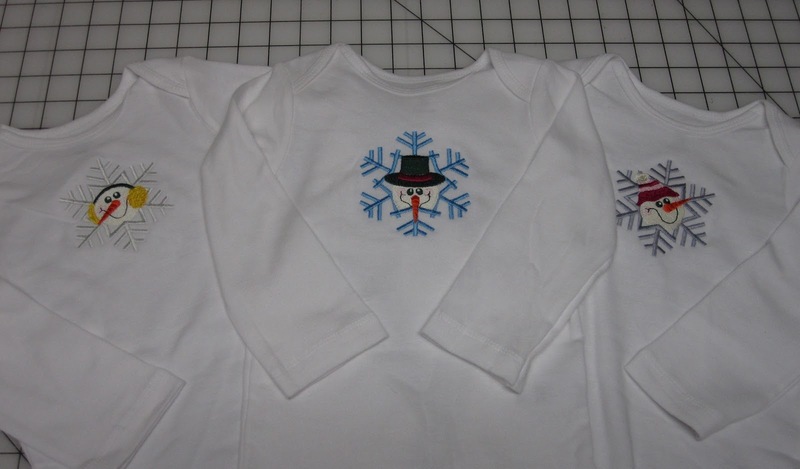 This was an embroidery for a sweatshirt with the three showman snowflakes together. I broke it apart and put one on each onesie. I thought it would be cute if her mom had a sweatshirt with the three snowman on it, but with her being 8 1/2 months pregnant I really didn't know what size shirt to buy! !